We increased paid parental leave to 17 weeks, and are sharing our model for others to use. 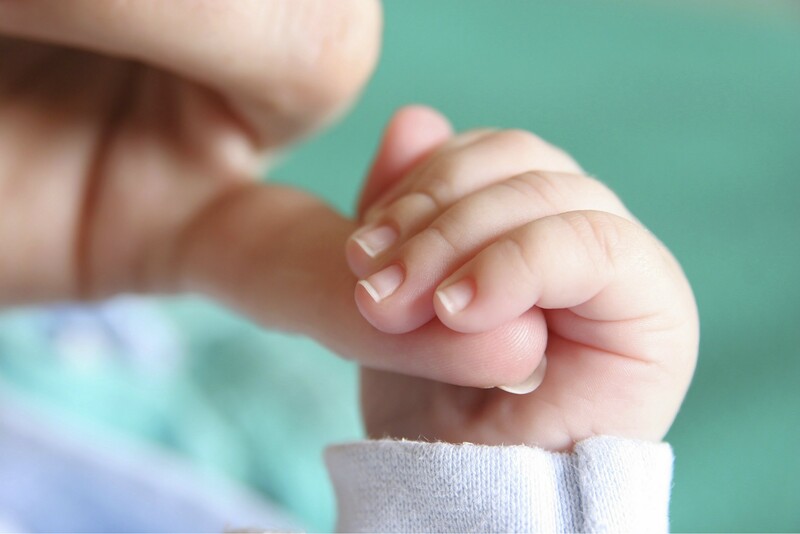 Parental leave as an employee benefit is a topic of frequent discussion these days, and is a conversation spurred on by policy announcements this summer from technology leaders Netflix, Microsoft, and Adobe. At first glance, this might look like yet another perk in the Silicon Valley race to attract top talent, but this is an issue that extends well beyond the tech bubble. Lack of access to paid maternity and paternity leave is a serious problem affecting parents in the United States across industries, geographies, and socioeconomic classes. According to the White House, only 11% of Americans have access to paid parental leave from their employers. When compared to other industrialized nations, the United States is the only country that does not guarantee its working mothers maternity leave. As a nation, we have a long way to go towards supporting working parents and their families, but that can and should change. Here at Optimizely, we believe that adequate, equitable parental leave is a movement we all have a responsibility to take part in. To that end, we want to share exactly how, in 2014, we laid the groundwork for increasing leave for new parents at Optimizely from 6 to 17 weeks. Because one of our cultural values is transparency, we’re open-sourcing the business case and financial model we built to advocate for increased parental leave at Optimizely. We hope that other employees and companies looking to improve their parental leave policies will use it as a tool to make it happen at their workplaces, too. Optimizely’s four-month parental leave policy went into effect in January 2015, thanks to months of behind-the-scenes work from members of our Finance, People Operations, and Engineering teams. Engineering, you might ask? Yes. As a Director of Engineering, I took an active role in updating our old policy, working with the relevant stakeholders to make the new policy a reality. I knew that the six week policy was dramatically under-serving new parents, and that if we wanted our employees to bring their best selves to work at any stage of their lives, this policy needed an overhaul. We could do better. Diversity: Offering a progressive leave policy paves the way for a workforce that spans demographics both in terms of gender and stage-of-life. A more diverse workforce means attracting and retaining the top talent across the entire industry, not just one segment of it. Diverse companies are also 45% more likely to report growing their market share year over year. Optimizely strives to foster an environment that is inclusive of everyone, and we realized that parental leave was imperative to upholding that value and building the best, most qualified team possible. Productivity: As any parent can attest, the early weeks of a child’s life are largely spent very sleep-deprived. A study of sleep-deprived workers estimated the cost of reduced productivity to be $2,500 per employee. More leave time means employees are well-rested and able to focus when they choose to return to work. Employee retention: Extending leave policies for new parents promotes employee loyalty and retention. Google decreased attrition among new parents by 50% by increasing leave from 12 weeks with partial pay to 20 weeks with full pay. Opportunity: Other employees have the opportunity to step up and stretch their careers to provide temporary coverage for employees on parental leave instead of hiring contractor coverage for their position while they’re away. Because I’m an engineer — not an analyst — financial modeling and research on competitive benefits was a bit out of my comfort zone. But after being asked to articulate the impact of increased parental leave on the business, I set out to build a financial model that I could use as a starting point for conversations with the finance team. This financial model evaluates the incremental cost of having parents out on leave. It’s based on the likelihood that parents will start or continue building families at various ages. 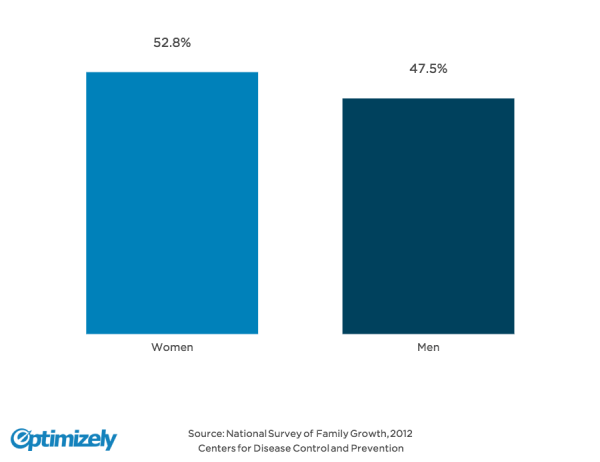 The key pieces of data in the model are CDC statistics from the National Survey of Family Growth (NSFG) and the National Vital Statistics Report (NVSS). We’ve made the model available as a Google Spreadsheet so anyone can apply it to their own business. By and large, the Optimizely workforce is made up of bachelor’s degree-holders. 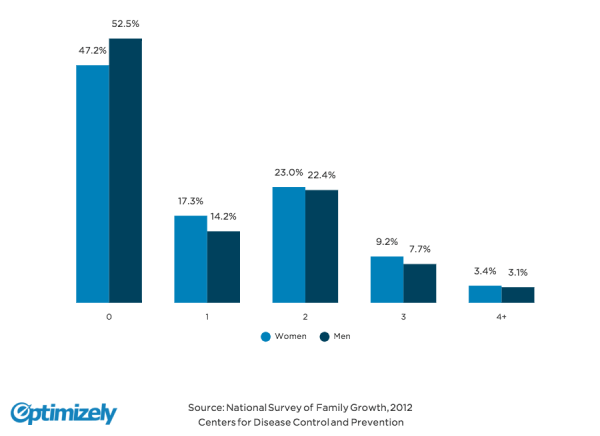 According to the NSFG, 52.8% of college-educated women and 47.5% of college-educated men have children at some point. While knowing that roughly half of all educated men and women will have at least one child at some point in their lives was helpful, I needed more granular statistics. The first step was calculating how many children Optimizely employees might be expected to have over the course of their careers. How many children do college educated women and men have at some point? The next step was understanding the average ages at which men and women have children and the amount of time women will go between births. According to the NVSS, the median number of years women will go between births is 2.4. So if, for example, an Optimizely employee has their first child at 30, they might be expected to have their second child sometime between their 32nd and 33rd birthdays. The final step was understanding the absolute cost of covering those parents in a given year. If a fictional company of 400 people has an average cost per employee of $100,000 a year, the cost for that parent to take leave for a third of the year, or 17 weeks, would be $32,692. So if, let’s say, 20 employees from this 400-person company took parental leave in a year, the total incremental cost of parental leave per employee at the company would be $1,634.00. That’s roughly the cost of a business trip per employee. Optimizely is growing very quickly, and as our number of employees multiplies, so will the number of parents out at any given time. This model had to account for the financial impact of the parental leave policy on Optimizely today, as well as how the benefit will scale as the business grows. This model is better suited for larger companies with a greater number of employees. 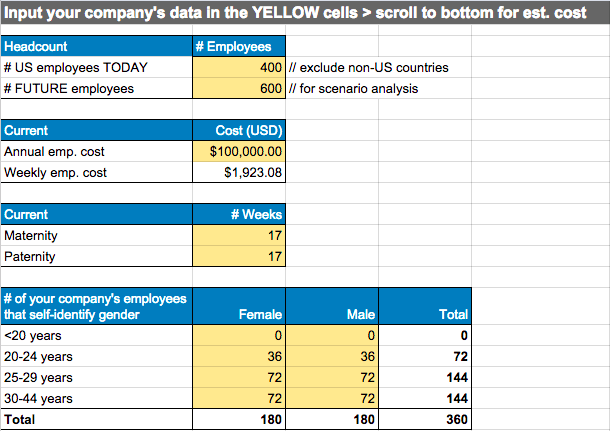 A large multinational corporation will, in all likelihood, have numerous employees out on leave at any given time, so this model will help them calculate the incremental cost to ensure that their roles are filled throughout the year. This type of consideration is less relevant at a smaller company where, in many instances, teammates will stretch their responsibilities temporarily to help their colleagues that are out on leave. Armed with this model, internal stakeholders in Finance and People Operations agreed that dramatically improving our parental leave policy was not only a great employee benefit, but also a great investment for our business. We built the model with data representing the childbearing trends for college-educated men and women. This is not necessarily an exact match for other industries that might have a different workforce demographic. The model does not explicitly account for parents who have children through other means (adoption, surrogacy, or foster care). PLEASE NOTE: Should you choose to use this model to advocate for increased parental leave policy at your company or organization, be sure to work in concert with your financial and legal teams to ensure the financial implications are accurate for your business. Arriving at the decision to increase Optimizely’s parental leave was just one more step on the journey of supporting our team at all stages of their careers and personal lives. The policy also helps us create a work environment that is more diverse, more productive, inspires growth, and has higher employee retention rates. But ultimately, policies like this one are just communication tools for companies to demonstrate what they value, and how they view their employees. The policy itself is an important step, but won’t actually have an impact until it is utilized. To that end, we’re also focused on how we can support employees in taking whatever time they need when their child arrives. New parents can choose to break up the time away over the course of their child’s first year according to their personal preference, or if it better complements their partner’s leave plans. We also know that returning to work is a challenge new parents face, and that the flexibility and support new parents need continues after a formal leave period. We want to support them as they build new routines and determine what works best for them and their family. Now it’s your turn: will you advocate for increased parental leave at your workplace? Let us know if you have any questions about our journey. We’re happy to help. This post was co-authored by Bill Press, Optimizely Director of Engineering, and Shana Rusonis, Content Marketing Manager. Our mission @Optimizely is to make it easy for teams to discover, create, and deliver the right experience for each customer.